To Seminary or To Not Seminary That Is The Question! If you want to stay Christian while going to Seminary, I believe you must have a connection to a local church. Let’s get down to brass taxes… The church is God’s plan for the great commission. As a matter of fact it is plan “A” and there is no plan “B” just in case “A” does not work. God is calling to Himself people from every tribe, tongue, and nation according to Revelation 5:9. He’s has assembled them into local churches and He’s commissioned them to go and make disciples (Matthew 28:19-20). You would think that this would be basic for any young preacher going into ministry, but I have found over the years that for many they have a desire to do their own thing. I have seen many come and go, and I have seen many that are not really related to any local church. That is not what we desire at Texas Theological University & Seminary. It is our desire that the young student, the pastor, layman or whoever desires to further their education stay and minister within their local church while earning a degree. 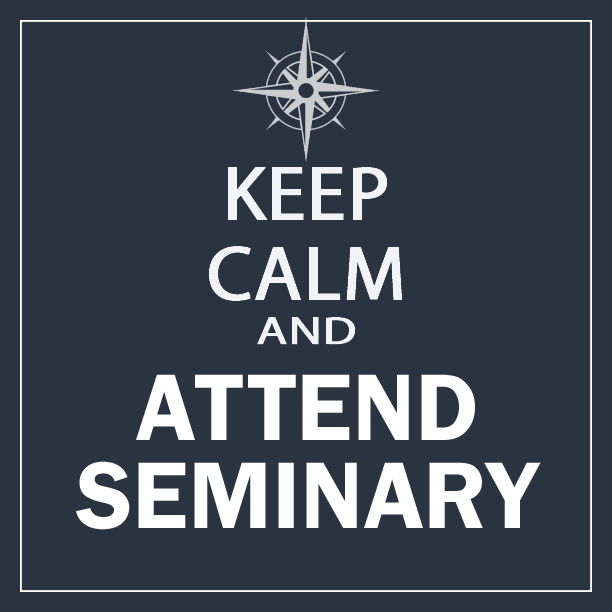 We understand that for many they cannot pack up their life and go to Seminary. If you are reading this and you sense God’s call on your life for vocational ministry, then before you even think about taking classes at Texas Theological University and Seminary you need to be neck deep in your local church’s ministry. The connection to a local church is critical. You need the ministry and discipline of the local church as much as anyone, and if you allow another ministry or a Seminary connection to be a substitute, your growth and fitness for ministry will be stunted. God’s plan “A” (remember no plan “B”) for your sanctification is the church. You need the word preached to you. you need the encouragement of other Christians. you need its doctrine, reproof, correction and instruction in righteousness… (2nd Timothy 3:16). To separate from the church is to separate from life. Whether you’re thinking about going off to a seminary, staying within a local church institute or going online, your spiritual center needs to be the local church. We Are Texas Theological University and Seminary… Accessible, Affordable, and always online… Check us out. www.ttus.org.